Of all the specials we covered last year (see sidebar on the left), these have the distinct honor of being our favorites. I’m a sucker for the almost all the output from Jim Henson’s stable of kind-souled bleeding hearts, but the Fraggles’ special should air every Holiday season in every household around the world. Sure, it’s a timeless tale of Gobo’s personal redemption, as well as the importance of friends and family. However, it’s also a gentle lesson on religious tolerance and importance of all cultural traditions. 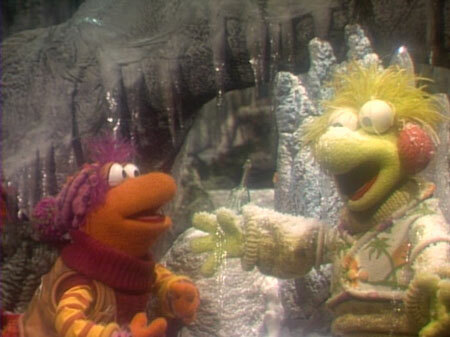 And the Fraggles pull it off without even mentioning the word “Christmas” once! Truly a Christmas special like no other! Not a word is spoken throughout almost the entirety of the special, and instead the tale unfolds via enchanting interactions between a boy and his snowman come to life and hauntingly unforgettable music. 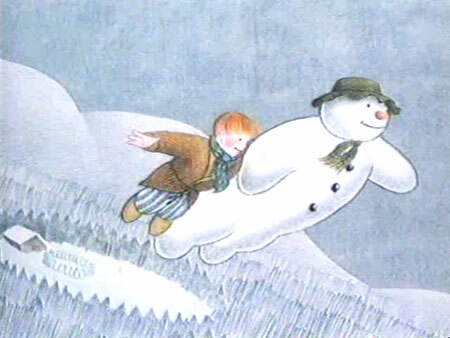 Whereas many older animated shows retain the static look of cartoons pulled off on a television budget, The Snowman whips and pans along with a restrained, expertly shaded elegance giving it a wonderfully unique feel that falls somewhere in between the CGI of today and the 2D drawings of yesteryear. Being the world’s oldest Christmas specials currently running annually, I figured the Rankin-Bass classic would’ve showed its age more. Nay! Watching it today holds up every bit as well as I’d imagine it did for those old enough to remember the first airing back in 1964 when it was sponsored by General Electric. I wouldn’t even simply attribute its longevity to the timelessness of the subject matter, nor the Burt Ives songs we all know by heart. 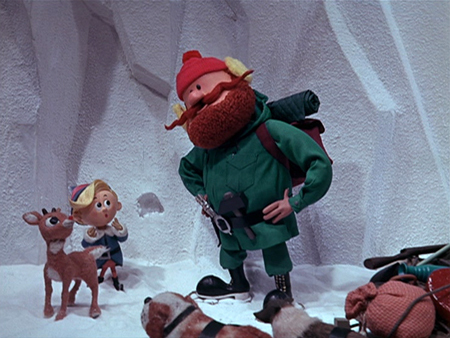 Rudolph the Red-Nosed Reindeer is still a thrilling, extremely well-paced adventure starring fully-fleshed out characters and animated with some of the most colorful, stop-motion ambition the world has ever seen. Rudolph defied even my most nostalgic of expectations, and I can honestly say its worthy of its legacy with relative objectivity. I’d watched this a billion times as a kid, but I had no idea it’d hold up as well as it did. As are so many Jim Henson joints of the 1980s, The Christmas Toy is equal parts uplifting and terrifying, deftly pulling off comedy and tragedy at the same time. I suppose one of my favorite tropes, regardless of Christmas, is the premise of “toys come to life” and in the article I discuss how it’s story and characters run parallel to a certain other, ahem… “toy story” we’re all a bit more familiar with today. If you haven’t seen it, I strongly encourage you pick it up bundled with another timeless Muppet classic we’ll be covering this year: Emmet Otter’s Jug-Band Christmas. Don’t care who you are… If you have eyes, a brain, and an age of over 10, you’ll recognize this Disney short immediately. 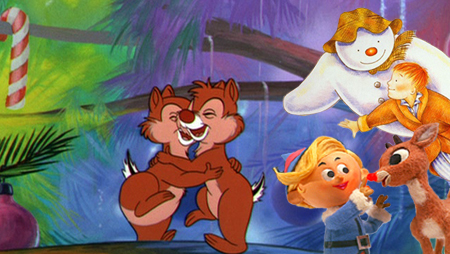 You probably don’t remember where you first came upon it – hell, I can’t remember where I first saw it (although, an upcoming article could offer a clue…) – but you’re no doubt familiar with the breezy shenanigans of what happens when Pluto tries to protect Mickey’s Christmas tree from a duo of displaced chipmunks. There’s not a single frame within this seven minute cartoon that doesn’t bring me right back to the Holiday sights, sounds, and smells of the family living room of my youth, so obviously, my love runs strong with this one. Please understand how difficult this was to choose over Toy Tinkers! Thanks a ton Chris, I’m going to get The Christmas Toy bundle for my baby sisters, through Amazon no less! WHERE IS MICKEY’S CHRISTMAS CAROL, CHRIS?!?! Umm, all over the site, actually. Including the sidebar, further down on the front page and the post immediately below. 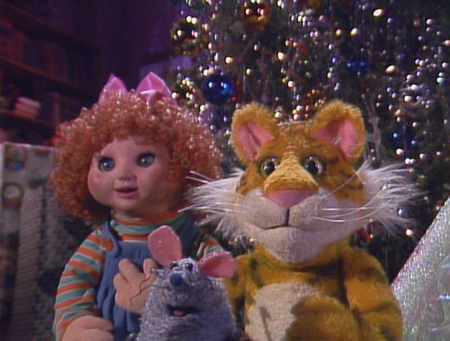 Toy Tinkers is my A-1 fave Christmas special. So good. 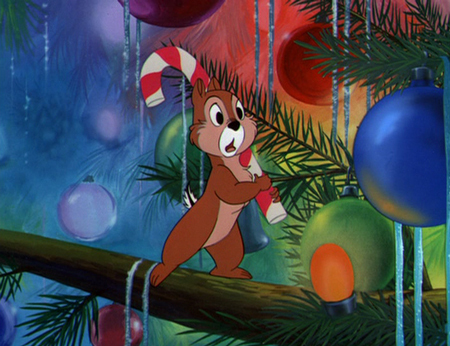 Any suggestion on where I could get a good quality version of either Pluto’s Chrsitmas Tree or Toy Tinkers? All I have now are cruddy .avis from long dead p2p networks. Or I could have read the specific entry on this site and seen the amazon links… durr me. I thought this thread would tell us what christmas specials actually aired for the first time in 2009. Know of any?